It's time once again for my monthly Wendy's Favorite Things feature...where I share eight food items or kitchen tools that I've been using in my kitchen and absolutely love. 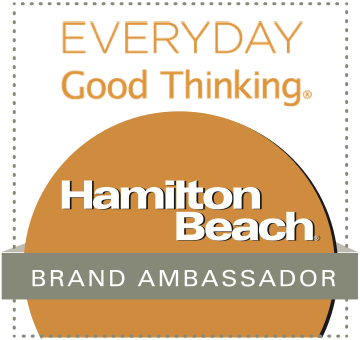 I've got some great suggestions to share with you today...so let's get started! (1) Gourmet Garden Lightly Dried Herbs & Spices. Gourmet Garden is known for its tubes of organic herbs and spices. I love using them in my kitchen, because it's so handy to squeeze the tube to add flavor to my recipes. Gourmet Garden's newest product is a line of stackable herbs and spices that are lightly dried. Unlike their tube products, these herbs and spices can be sprinkled on top of a finished product -- but I don't have to do the chopping! The line includes parsley, basil, cilantro, ginger, and chile pepper. 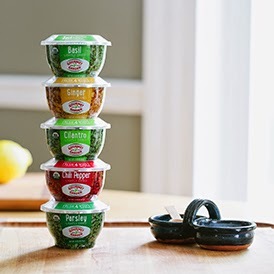 They're easy to store in the fridge, because the containers lock together and stack. So far, I've used the cilantro and ginger. It's so easy to grab a pinch and sprinkle on top of whatever you're making. They last for 4 weeks in the fridge too! To find a store near you that carries this new line, visit the Gourmet Gardens online store locator. (2) Woats Oat Snack. 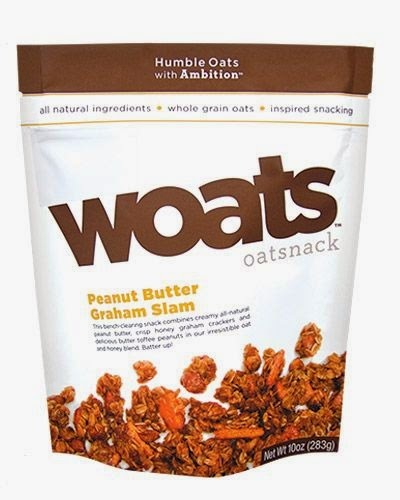 Woats is a Texas company that makes one of my favorite new snacks. If you love oatmeal cookies, but want a snack you can feel better about? Woats is perfect for you! Woats comes in three yummy flavors: Peanut Butter Graham Slam, Cookies 'n' Dreams, and Nuts About Cherries. Lightly sweet Woats are great sprinkled on top of Greek yogurt for breakfast, but they're equally good straight out of the bag for an after-work pick-me-up. All of the flavors are great, but I'm especially partial to the Peanut Butter Graham Slam. It contains all-natural peanut butter, crisp graham crackers and crunchy butter toffee peanuts. Woats is available at select retailers around the country, but you can also order it online at their website. (3) Saucy Everything Spicy Mayo. This addictive sauce is from Intensity Academy, and boy is is good! Mayo is a very popular condiment here in the South, so I know good mayo when I taste it. 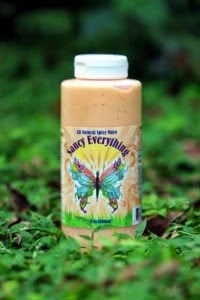 Saucy Everything Spicy Mayo is creamy, slightly sweet, and gently spicy. It comes in a handy squeeze bottle, making it easy to use as a topping on a variety of foods. I am officially in love with this versatile sauce. So far, I've had it on a chicken sandwich and on a burger. It worked equally well with both! 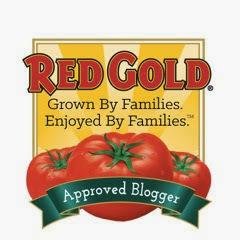 I'll be sharing a fun recipe featuring this product very soon, so be on the lookout. Saucy Everything Spicy Mayo can be purchased direct from Intensity Academy's website. It's also available at select locations in Florida. 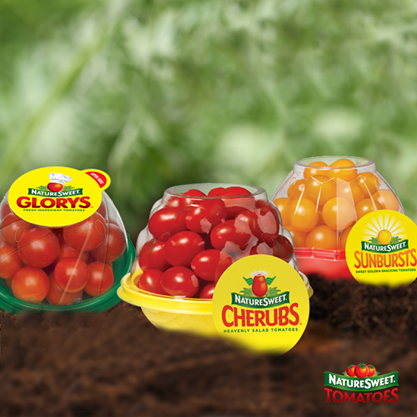 (4) NatureSweet Cherub Tomatoes. NatureSweet is based here in San Antonio, but I'd adore these bite-sized grape tomatoes even if they weren't. Their flavor is sweet, and the packaging makes them convenient for easy snacking. They come in a round container with a peel-back lid on top. This makes it easy to grab 3-4 of them for a quick snack. -- one you don't have to feel guilty about enjoying! Even if you enjoyed half of the container, it would only cost you 50 calories and 1 gram of fat! I also love to halve Cherubs lengthwise for adding to salads or pasta -- I find them to be very versatile. The NatureSweet website offers a helpful store locator, as well as many delicious recipes featuring Cherubs. (5) Blue Isle Yogurt Spreads. Blue Isle makes a delicious line of Mediterranean-style yogurt spreads that are high in calcium and contain healthy probiotics. They come in five yummy flavors and make a perfect substitute for cream cheese, mayo, sour cream, or yogurt in your recipes. Savory flavors include French Onion, Spicy Vegetable, and Plain. There's also a duo of sweet flavors: Blueberry and Honey. I love the Spicy Vegetable with woven wheat crackers, and the Honey is delicious on a toasted honey-wheat bagel. Each 2-tbs. serving averages 60 calories and 6 grams of fat. To find Blue Isle Yogurt Spread at a store near you, visit the company's online store locator. (6) President Butter with Sea Salt Crystals. 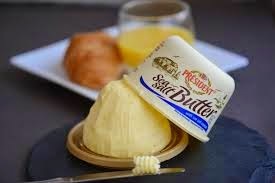 President makes some of the best-tasting butter available, but their Butter with Sea Salt Crystals may be my favorite variety. 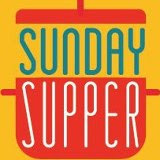 The butter is rich and creamy, with crunchy crystals of sea salt that provide a burst of salty goodness as you enjoy it. This butter can be used like any other butter, but I have to admit my favorite way to enjoy it is spread on a toasty warm baguette. The combination of crusty bread, melted butter, and a crunchy burst of sea salt is downright decadent. The butter is shaped like a dome, and the top comes off to reveal the butter sitting on a flat disc. That makes the presentation nice enough for the most formal of table settings. This butter is a perfect indulgence! (7) Goody Good Stuff Gummy Snacks. These all-natural gummy snacks taste so good you'll never know that they're a healthier alternative. Goody Good Stuff gummies contain no gelatin, glucose, or gluten. They're also naturally colored and flavored. They come in a wide range of fun flavors, and the texture is very nice. They're not sticky or overly gummy...just easy to eat! 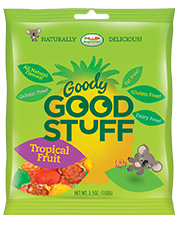 Goody Good Stuff gummies are made from a plant-derived bio-gum technology, eliminating the need for animal-based gelatine, which most -- making them vegan-friendly! Over the last 15 years, they've developed technology that allow them to remove the gelatine from gummies while still producing a smooth and clear consistency. All I know is that they taste great! The company is based in the UK, but can be found at stores here in the US. (8) Dukan Hot and Spicy Turkey Jerky. If you're looking for a protein-rich snack that's full of flavor, check out Dukan's spicy Turkey Jerky. This flavorful jerky is made from premium cuts of turkey breast that have been marinated in a tamari soy sauce, spices, and spicy red pepper. Unlike some jerky on the market, Dukan isn't the texture of leather, making it easy to chew and enjoy. This is a snack you can feel good about eating. It's made from turkeys raised without antibiotics, and each serving provides 19 grams of hunger-satisfying protein. 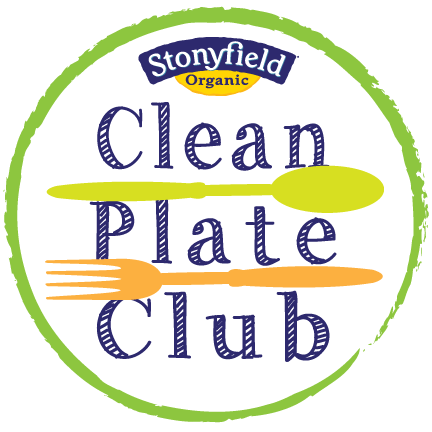 It also contains no added MSG or sugar, and it contains no gluten or nitrates. 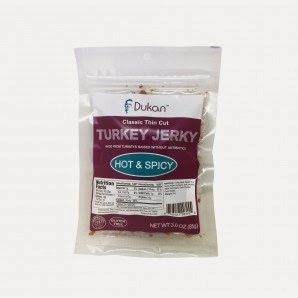 Dukan Hot and Spicy Turkey Jerky can be ordered online from their website. Disclosure: The companies that produce the products featured in this article provided me with samples to facilitate inclusion. I have personally tried all of these products, and I only recommend products to my readers that I personally enjoy using.